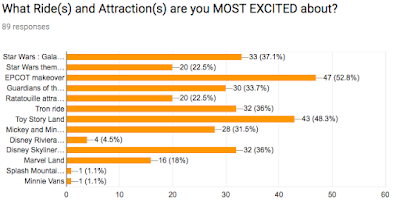 Last month we told our subscribers about all the new cool rides and attractions that are coming to the Walt Disney World Resort. All of this information came out of Disney's big D23 Expo event. 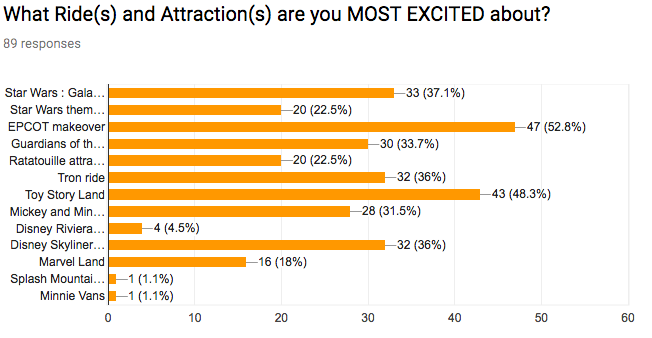 Well, we asked what attractions were the most appealing to our readers, and the results are in! The makeover coming to EPCOT came in first, with the arrival of Toy Story Land coming in a close second. And fighting hard for 3rd place were several contenders: a few Star Wars Lands attractions, Guardians of the Galaxy attraction, and the Tron ride.